In recent years, social and mobile gaming has grown rapidly. Considering the popularity of these tools, this gamification approach could also be applied within the healthcare and rehabilitation setting. To promote patient empowerment, the most successful new tools appear to incorporate two factors: entertainment (self-motivation) and relevant therapeutic content (rehabilitation). Physilect specifically focuses on these important factors, using software to support Physiotherapy rehabilitation. This software uses gamification and motion-based visual biofeedback to guide individuals during the performance of therapeutic exercise. “Physilect may be used to support rehabilitation within the clinic, or as part of a home rehabilitation plan. In particular, Physilect has the potential to be highly customisable, in order to target a wide range of health conditions. Further combining rehabilitation with gamification serves to promote effective and entertaining rehabilitation”, say Physilect’s Erik Raita and Tapio Jakobsson. Physilect can monitor user movement during the performance of therapeutic exercises, identifying improper or compensatory movement patterns and providing necessary corrections when needed. “It’s not just about the game, it’s about applying real practice, controlled and monitored by a computer program with gaming elements”, Raita explains. Health care professionals are a key user-group, responsible for the introduction of new technologies within rehabilitation. 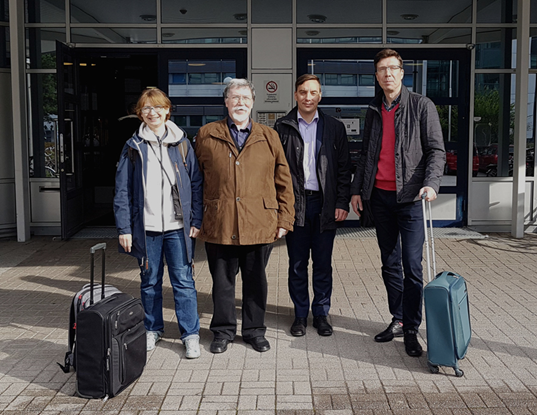 As such, the Physilect team has developed the tool in close collaboration with Physiotherapists at Fysios Lappeenranta and students from Saimaa University of Applied Sciences, to ensure usability and creation of a therapeutic exercise library that meets the needs of the user community. 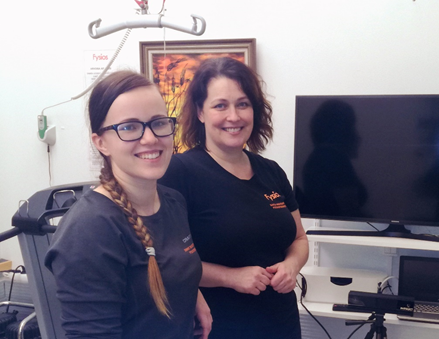 Physiotherapists at Fysios Lappeenranta were provided with Physilect for testing purposes. The Physilect tool supports rehabilitation within a one-on-one or group setting, requiring minimal equipment. Physilect consists of a single camera for monitoring user movement, screen for providing visual feedback, and a computer containing the Physilect Light Pro software. This makes it ideal for supporting remote, on-location, or clinic-based rehabilitation. Satu Nousiainen, from Fysios Lappeenranta, is responsible for delivering group-based rehabilitation to neurological and older-age clients. Often with these clients, motor or sensory capabilities are compromised. These individuals may have an altered body image, thus experiencing difficulty with body awareness, balance and proprioception. Satu Nousiainen has used Physilect in group classes, consisting of individuals with a range of neurological conditions, such as post-stroke, spinal cord injury and MS patients. These rehabilitation groups usually have 5-8 participants, with Physilect used as a training station. Physilect supports the user, with the Physiotherapist able to easily change movement patterns based on user needs and capabilities. The visual feedback system also supports the Physiotherapist, allowing them to assist other members of the group as needed. “I always choose the exercises depending on the needs of each group. For example, if we have a theme such as movement of the lower limbs, I can select the desired movements from the Physilect library. The good thing about Physilect is that it’s easy to take into account any special needs on the fly”, says Nousiainen. According to Nousiainen, Physilect works like a smart mirror. In addition to visual feedback, it is able to provide active guidance during the performance of movements. By providing an additional source of feedback, it helps users to visualise movements and make movement patterns more controlled. Nousiainen’s colleague, Physiotherapist Jenny Ruotsalainen has also been closely involved in the project, focusing more on individual customer guidance. She believes Physilect serves as an excellent tool to complement existing therapeutic interventions. “In my opinion, Physilect supports the development of good movement. Many people understand the visual feedback provided by Physilect better than oral instructions provided by the therapist. Although we can manually adjust your movement, adjusting movement patterns through self-generated visual feedback helps strengthen your internal movement management strategies. This can also support the transfer of training into activities of daily living”, explains Ruotsalainen. “Feedback regarding the use of Physilect within rehabilitation sessions has been generally positive. The tool has been used with a variety of patients. I have found Physilect to increase motivation, as training in the form of a game helps patients to focus”, says Ruotsalainen. “In particular, I have found that use of Physilect in neurological rehabilitation provoked positive discussion, especially concerning perception of one’s own movement. Clearly, for example in group therapy, motivation has increased as the program has introduced more movement and the use of visual feedback”, Nousiainen describes. Physilect serves as an additional tool within the Physiotherapist’s toolbox. In addition to providing visual feedback during the performance of therapeutic exercise, the statistical characteristics of the tool are constantly evolving, resulting in increased ability to monitor rehabilitation. Usability and the ability to monitor patient results are especially important. For example, if using Physilect to support home-based rehabilitation, these statistics provide valuable data to the Physiotherapist. Compliance to home exercise programming can significantly impact the success of rehabilitation. Existing therapeutic strategies can offer limited ability to track performance of home-based rehabilitation. In addition, studies indicate that individuals do not complete prescribed home-based rehabilitation with full adherence, thus affecting short and long-term outcomes. Physilect offers one potential solution for promoting self-motivation through entertainment, in an effort to combat this challenge. In addition, statistics from Physilect allow the Physiotherapist to more deeply analyse performance of movement patterns and track improvement to key metrics. This helps the Physiotherapist to analyse whether the current rehabilitation plan is effective, thus promoting successful rehabilitation. Therapy planning is important, not just from the perspective of rehabilitation, but nowadays the rehabilitation payers are also interested in traceability monitoring and statistics, especially by means of technical methods. Usability is also an important part of the program, and according to Nousiainen, it includes the dimension of continuous development. Physilect can challenge its users. All movements can be performed with or without Physiotherapist support. The difficulty of the movements can also be altered. Factors such as the range of movement, repetitions and types of movement can be altered to promote continuous development. 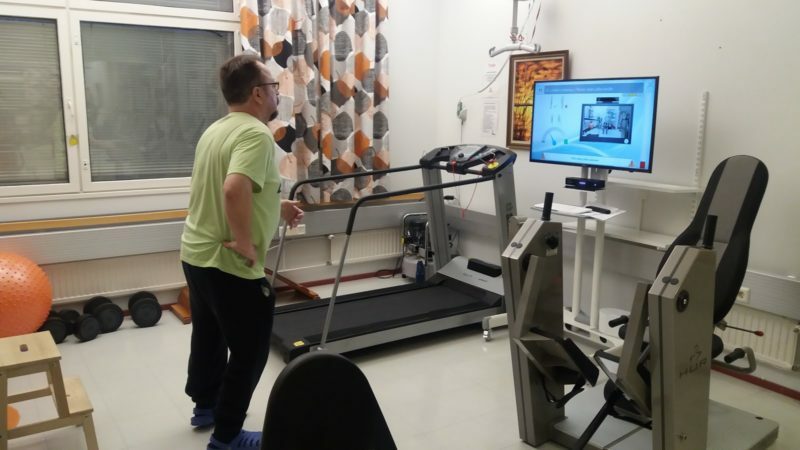 Currently, Physilect is used only in on-site rehabilitation in Lappeenranta, but the possibility of using it for remote rehabilitation is also of interest to Physiotherapists. As mentioned previously, there is huge need to develop home-based rehabilitation practices. With Physilect, customers can continue their rehabilitation at home. For home-based rehabilitation, Physiotherapists can plan a training program specifically aimed at the client’s needs and goals. Physilect Home can then guide the client through the performance of these specific exercises. This allows the Physiotherapist to monitor the progress of the client, without the need to constantly be present. In addition, it supports the collection of important patient data, helping the Physiotherapist to ensure continuous development. “Physilect’s usability will start with the model that customers can turn on the program and begin doing exercises themselves”, says Nousiainen. Rehabilitation is not just limited to the Physiotherapy clinic. To ensure success, tools are required to also support the patient in their home environment. Accordingly, Physilect does not aim to replace Physiotherapists, but to serve as an additional tool to support the rehabilitation process. Physilect has the ability to provide immediate feedback and guidance of movement patterns. It can also support motivation through the performance of these movements using gamification. In addition, it aids continuous development, allowing the Physiotherapist to remotely monitor and adjust the rehabilitation program to suit the patient’s needs and goals. “Rehabilitation is a great entity, in which work is done both at the clinic and at home. When everything is in balance, it will provide the best results”, Nousiainen summarizes. For more information on Physilect and its services, please visit the Physilect website.